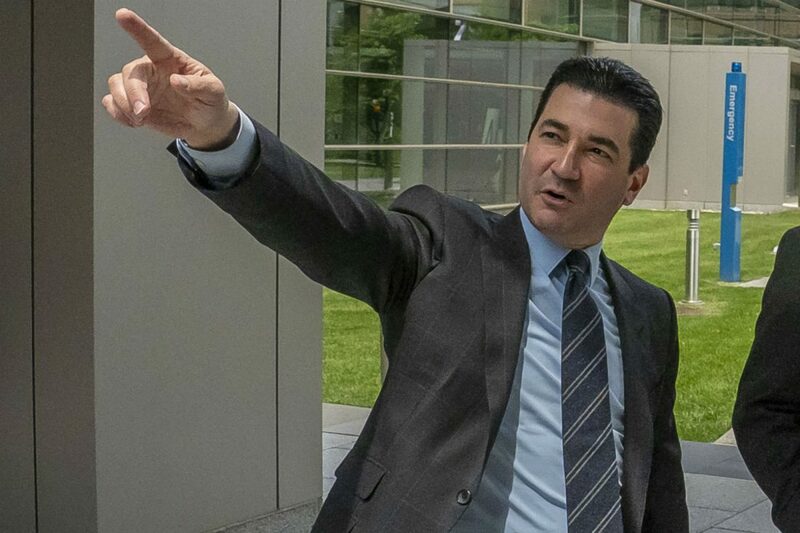 Scott Gottlieb’s last day as FDA commissioner is today. His resignation announcement last month surprised some, given the earlier denials about leaving. But after two years of commuting between Connecticut, where his family remained, and the FDA’s Maryland headquarters, he decided to step down from the agency. What will Gottlieb’s legacy be? His efforts to curb teen vaping comes to mind. Or maybe it’s regulation. While Gottlieb remained mindful of the FDA’s oversight role, he also tried to streamline the process for reviewing new drugs and medical devices. Perhaps it’s drug prices. On numerous occasions, Gottlieb argued that generics would bolster competition and push down prices of brand name drugs. Gottlieb’s tenure saw record approvals of new generic medications. Drug prices will be a focus for Gottlieb in his new gig. He told The Washington Post that he’ll try to identify solutions for sky-high drug costs when he returns to the American Enterprise Institute, the conservative think tank where he worked prior to joining the Trump administration. But in the nearer term, he’s got travel plans. He told the Post he’s taking his family to Disney World. In other news, a pharmaceutical mega merger inched closer to consummation, another biotech went public, and a legal spat broke out over a new migraine drug. Let’s get to those stories and more in this week’s roundup. —The American Association for Cancer Research’s annual meeting, a conference that typically focuses on preclinical and early clinical research, took place this week in Atlanta. Xconomy rounded up the news, including updates from studies in lung, breast, and pancreatic cancer, CAR-T cell therapy, liquid biopsies and more. —The Institute for Clinical and Economic Review issued a report calling for Biogen (NASDAQ: BIIB) to cut the cost of its pricey spinal muscular atrophy drug nusinersen (Spinraza), and encouraged Novartis to go to market with a lower price than it’s been contemplating for its SMA gene therapy Zolgensma, which could be approved in May. Both firms challenged ICER’s report. — Pfizer (NYSE: PFE) spinout SpringWorks Therapeutics raised a $125 million Series B round that the New York City firm will use to bring two ex-Pfizer cancer drugs into late-stage testing. —Responding to the uproar over drug prices, Cigna (NYSE: CI) said it would lower the monthly copayment for insulin to $25 a month. The health insurer says the average monthly out-of-pocket cost of insulin for its customers was $41.50 in 2018. —Dyne Therapeutics emerged from stealth with $50 million in Series A funding to support development of antibody drugs for muscular disorders. —Novartis (NYSE: NVS) agreed to pay $310 million upfront to acquire IFM Tre, a Boston biotech developing drugs to treat inflammatory diseases. The deal marked the second sale engineered by the founders and backers of IFM Tre, who in 2017 sold IFM Therapeutics to Bristol-Myers Squibb (NYSE: BMY) for $300 million. —NGM Biopharmaceuticals (NASDAQ: NGM) went public, raising $107 million to fund development of its lead drug, an experimental treatment for nonalcoholic steatohepatitis. —Aura Biosciences closed a $40 million Series D round to fund late-stage development of AU-011, an experimental treatment for primary choroidal melanoma. —Ironwood Pharmaceuticals (NASDAQ: IRWD) formally spun out Cyclerion Therapeutics (NASDAQ: CYCN), which initially will develop rare disease drugs discovered within Ironwood. Here’s more from STAT. —The potential Celgene (NASDAQ: CELG)-Bristol-Myers marriage looks to be gaining steam ahead of an April 12 shareholder vote. Two advisory firms, Glass Lewis and Institutional Shareholder Services, have recommended that Bristol stockholders vote for the deal. Upon the news, activist investor Starboard Value halted efforts to block the deal despite a “substantial swell of support” against the transaction. —Celgene had more positive news this week. The firm ended its fight with Dr. Reddy’s Laboratories, which in February was rebuffed in an attempt to challenge patents covering Celgene’s flagship blood cancer drug lenalidomide (Revlimid). Terms of the settlement weren’t disclosed. —Billionaire Patrick Soon-Shiong, who owns the Los Angeles Times and a piece of the NBA’s Lakers, made his money developing blockbuster drugs. He’s now accused of protecting one of those drugs, Abraxane, with a “catch-and-kill” scheme. In a lawsuit, Sorrento Therapeutics alleges one of Soon-Shiong’s healthcare firms bought Sorrento to shelve one of its drugs, a potential Abraxane competitor. A spokeswoman for Soon-Shiong told STAT the allegations were baseless. —The FDA’s top oncology official Richard Pazdur chastised drug makers working on immunotherapies that target the PD1-PDL1 pathway. The go-it-alone development of similar products from Merck, Bristol-Myers Squibb, Roche, and others is an inefficient use of resources and unfair to patients, he said during an AACR panel discussion. BioCentury has the story. —Two months after disappointing news about its landmark gene-editing medicine for Hunter syndrome, Sangamo Therapeutics (NASDAQ: SGMO) bounced back with a fresh batch of data from the Hunter program and two others. Fierce Biotech sifted through the details. —Merrimack Pharmaceuticals (NASDAQ: MACK) is stopping work on cancer drug MM-310 after receiving worrisome safety data from a Phase 1 study. The company plans another round of job cuts as well. —Novartis sued Amgen (NASDAQ: AMGN) claiming that the Thousand Oaks, CA, company is ending their partnership on migraine drug erenumab (Aimovig) to keep the profits. Amgen wants to back out of the pact because Novartis has had a deal in place to help supply a potential rival migraine drug from Alder Biopharmaceuticals (NASDAQ: ALDR), according to Reuters. —Teva Pharmaceutical (NYSE: TEVA) won European Union approval for fremanezumab (Ajovy). The FDA approved the injectable migraine treatment last September. —Arteaus Therapeutics, which helped shepherd the Eli Lilly migraine drug galcazenumab (Emgality) through clinical trials, sold royalty rights to Royalty Pharma for $260 million. In a blog post, Atlas Venture partner Bruce Booth wrote that Arteaus, an Atlas creation, has generated more than $300 million from an investment of less than $18 million. —-Genentech veteran Aaron Osborne jumped to Adverum Biotechnologies (NASDAQ: ADVM) to become chief medical officer.